International Foetal Alcohol Spectrum Disorder (FASD) Day, 9 September 2015. Specific facial features such as a long, smooth upper lip, small openings of the eye (called palpebral fissures). FASD is 100% preventable Come on ladies, think of the future of your children and be responsible. Thank you MARC for informing the Mkhondo ladies as well. 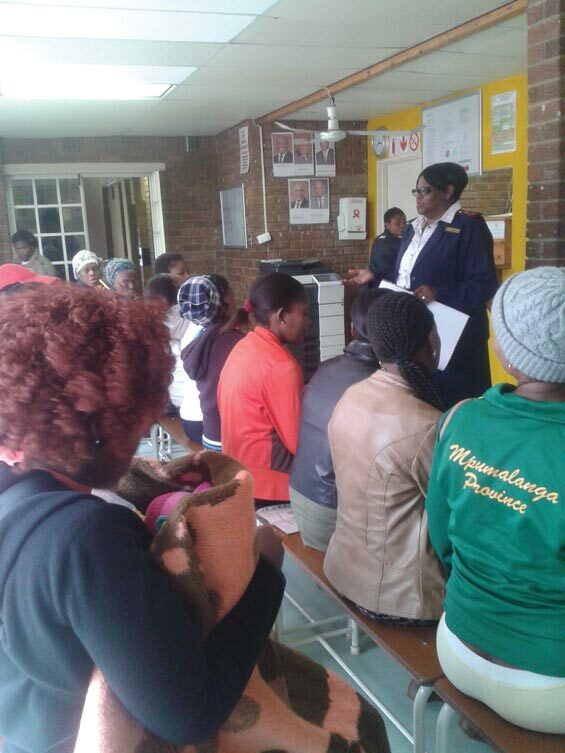 Sr Mkhalipi informing the ladies at Kempville Clinic about the dangers of drinking alcohol during pregnancy.